Now that you’ve found a set, downloading it is extremely easy. If we take a look at this set, you will notice that the screen is split into 3 sections. The right one contains the download links, a simple click will bring you to the hosting website used to upload this set to. 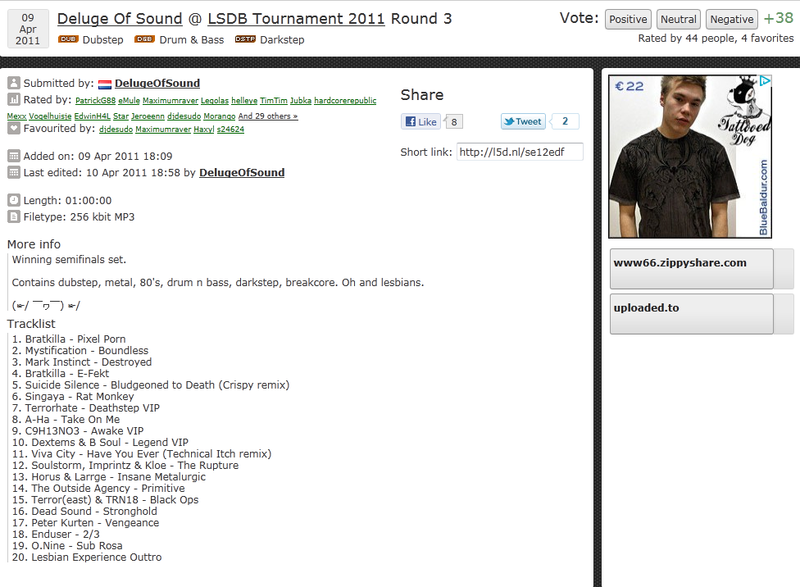 Note that no sets are hosted by lsdb, all the hosting is done by third party websites. The top section contains the quick information. You can see the date of recording, the artists name and event as well as the genres (maximum of 3) that this set contains. In the top right is the voting bar, here you can leave a positive, neutral or negative vote. This will influence the rating of the set which is displayed at the far right. The left section contains the detailed information such as the tracklist and whatever information the artist would like to add. It also contains a short link which makes sharing sets to your friends through messengers and social networks a lot easier. At the bottom of the screen, there is a comment box. 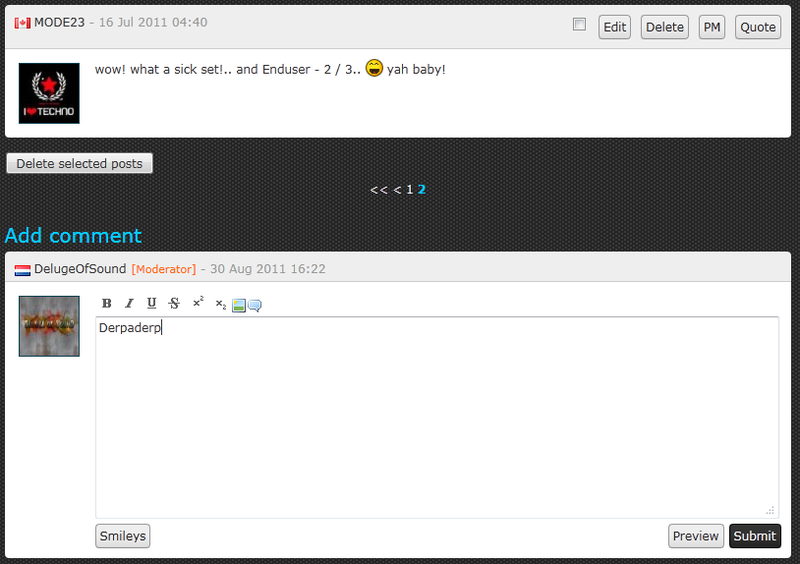 You will be able to see other people’s comments as well as add your own. Click the smiley tab to expand. Please note that shoutbox rules also apply to comments, criticism is ok but try not to be a douchebag.